Register Log In Vannin' Community and Forums Forums General Discussion ATTENTION 71-77 B-Van owners. Addco will make a run of sway bars(front) for our vans IF they get a minimum of 10 orders. They now have two. I would think they would do the same for the rear bars. Rear bar itself is a major "No-no". Makes any vehicle do funny things not conducive to staying on the road. OK, Just got off the phone with John at Addco. he will make a list of names for all of us interested in a front sway bar, that way HE can keep track of our "group buy",to make sure we have ten sold. He is a heck of a nice guy, and you can contact at 1-800-338-7015 ext.#102. Got my name on the list, just need 9 more committed buyers!! Thanks to all !! Lets make them all handle good!!! Last edited by Hasan Ben Sobar; March 13th 2018 10:35 pm. John from addco called last week, Seems like I am the only SERIOUS buyer out there!! No one else has called to get on our LIST. Surely I'm not the only that wants their van to handle better!!! What would the install consist of, just a bolt on product? Do we need an alignment after? Bolt-on!. You have to drill a few holes though, Two(2) in each forward frame rail, for the bushing mounts, and then one(1) in the front each lower control arm for the link mounts. You don't have to mess with any tie rods, etc. I think you can still find the instructions on their website. PART # 181. I'm really hoping we can get enough folks together for this!!!! Might be interested. Problem is that shipping that kind of stuff to Canada directly from the manufacturer is usually very costly. 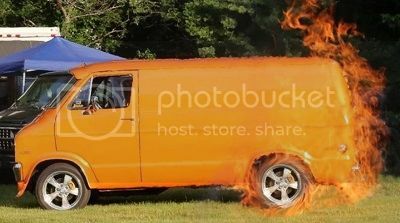 Maybe if a few more people chime in..
BTW You should definitely post this on the b-van forum.